Every time we drive from Nebraska to California, we stop in Denver the first night to stay with friends and we stop in Vegas the next night to stay with friends. It cuts our travel costs and we get to see people we love! It was in Vegas one year that our youngest left behind his backpack full of clothes and toiletries. We were all the way to Bakersfield before my friend discovered it and texted, “Uh-oh! I just found Malachi’s backpack in the boys’ room.” Guess who had to wear his cousin’s clothes all week? Eh, it could have been worse. And not to throw my friend Robin under the bus, but I just saw on Facebook that she recently went on a trip and assumed her husband had thrown her bag into the trunk of their car. She made it all the way to their destination before she realized that one should never, ever assume. Want a Master Travel Packing List? 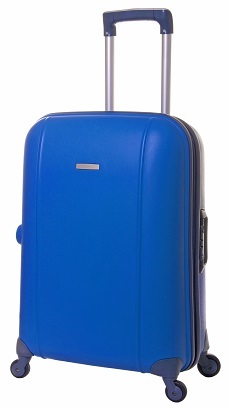 I’ll venture to say that this Master Travel Packing List we’ve put together for you won’t be of any help if you don’t follow through with actually putting the bag into the car with you. But at least this can help ensure that you don’t forget to pack your toothbrush. Every time we go on a trip, I always say to myself, “Well if we’ve forgotten anything, at least there’s a Wal-Mart.” But that doesn’t work very well for items like prescriptions and eyeglasses. And also, who wants to run to Wal-Mart to buy what we already own? So to remedy that for you today, we’ve created a Master Travel Packing List. Obviously, some of the items you can scratch right off the list and some of the items you’ll need to fill in that are specific to your family and situation. But seeing as all year ’round many of us hit the road, we thought this would be a helpful resource to hand out. Kudos to my friend Kim for helping put this together for all of us! 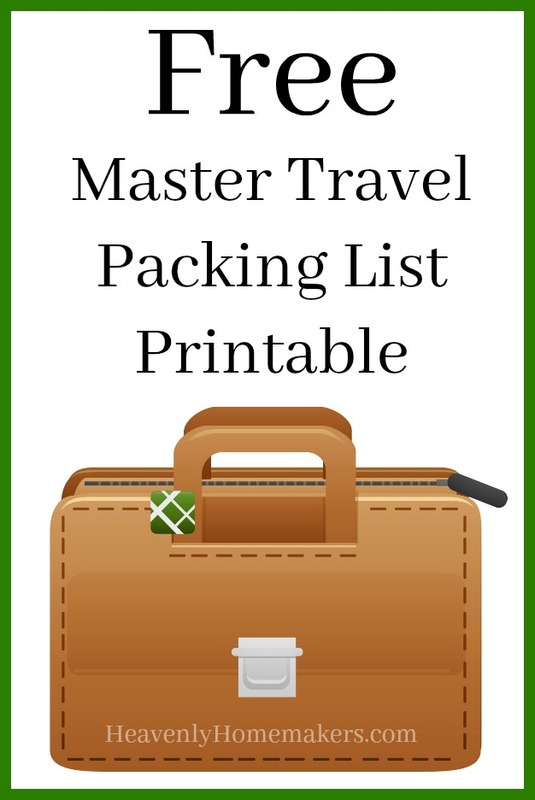 Sign up to receive this freebie Master Travel Packing List here! I put together a similar list years ago. Like you, we travel multiple times a year to visit out of state relatives. 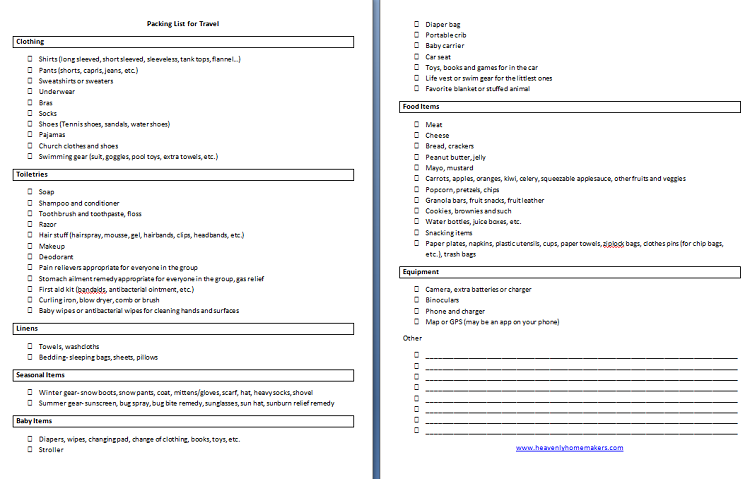 My list has two boxes next to each item – one for when I throw it on The Pile in the days leading up to the trip and the other for when I actually put it in a bag or suitcase. I also have a spot on the bottom to check off that each bag has actually been put in the car! (Guess why i added that section?). My list also includes all of the “house” things we need to do – take out the trash, a few things we hide (like our cash on hand and checkbook), checking all doors and windows locked. When you’re frazzled trying to get your weekly tasks done AND prepare for a trip, a list like this is such a lifesaver! Great idea for sharing!